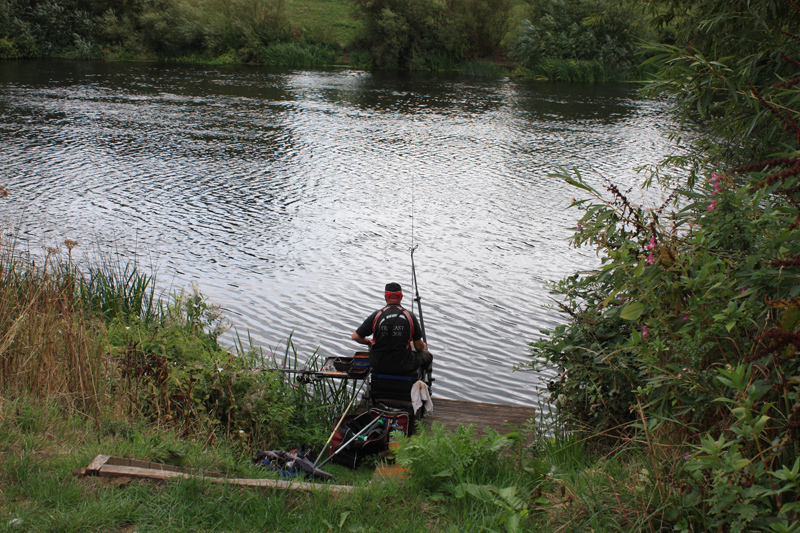 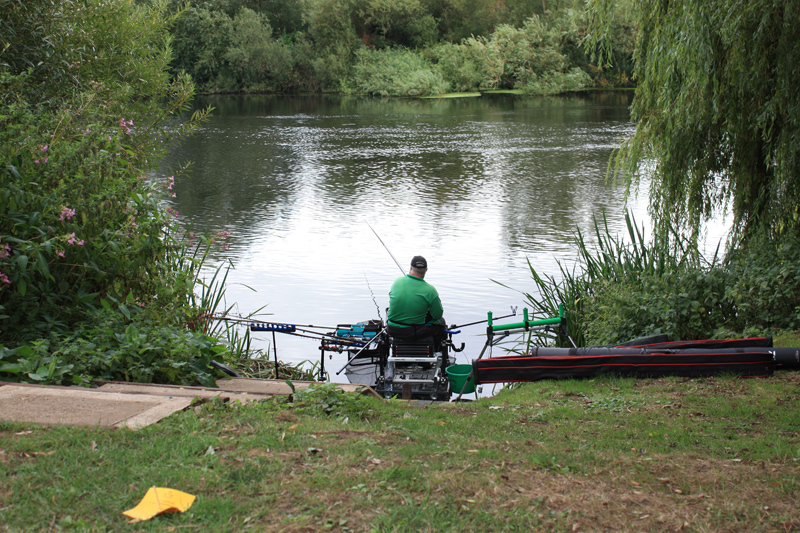 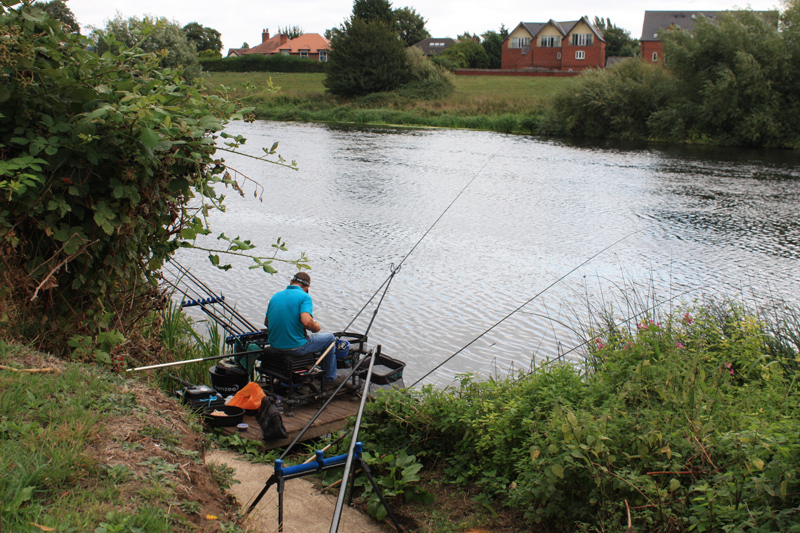 There were 47 teams who took part in the match, meaning there was a fairly staggering 470 anglers in total. 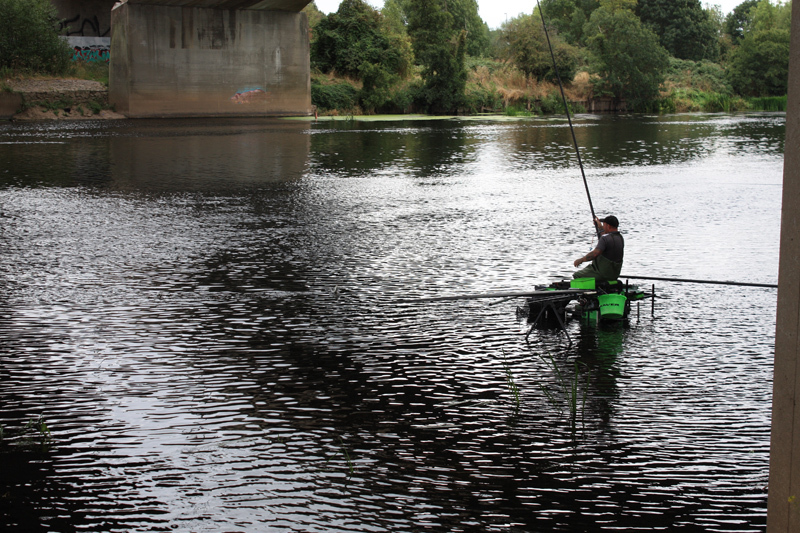 Many had expectations of big weights. 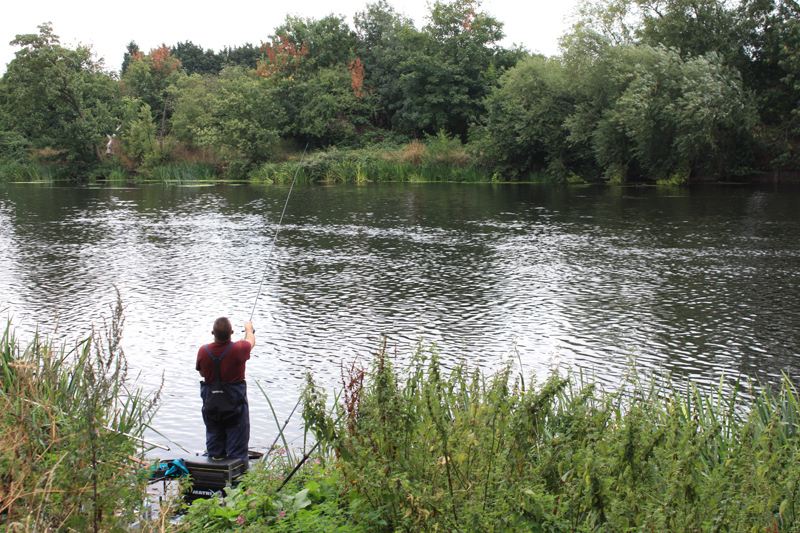 The river had been fishing well through the summer and the short spell of cooler damp weather meant the river had risen slightly and had some extra pace. 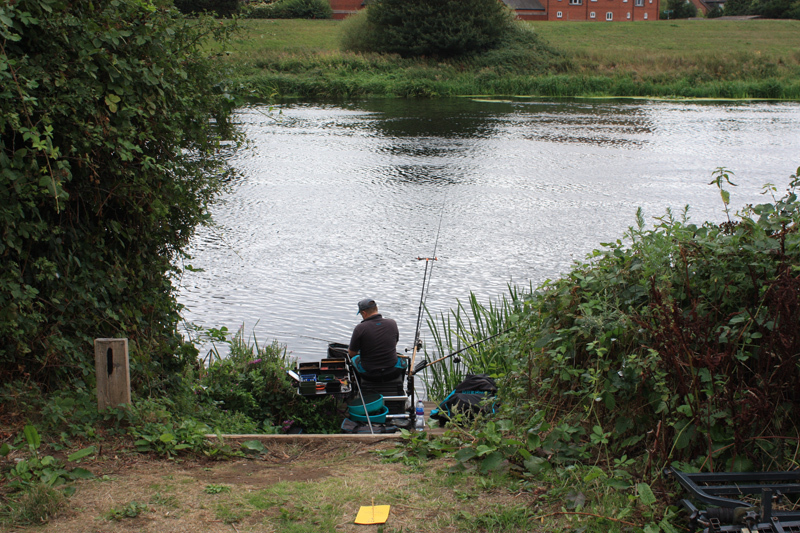 As with the match the week before, it wasn’t really clear which species or tactics would win the match. 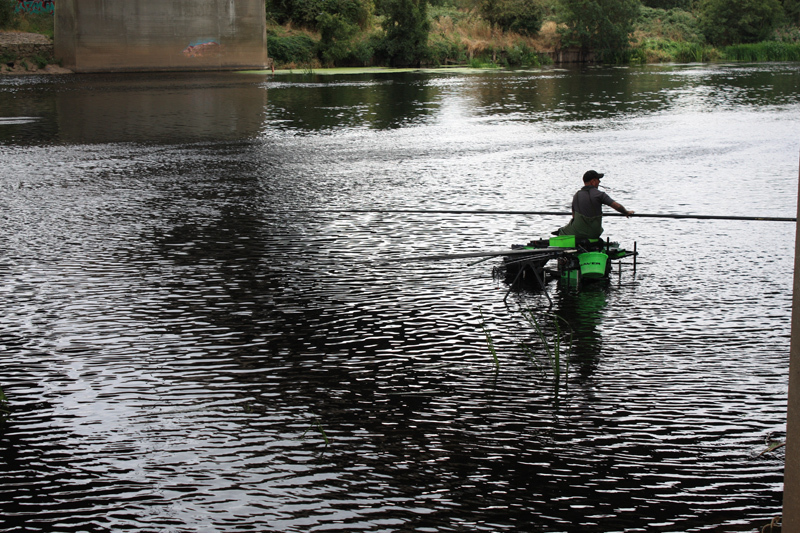 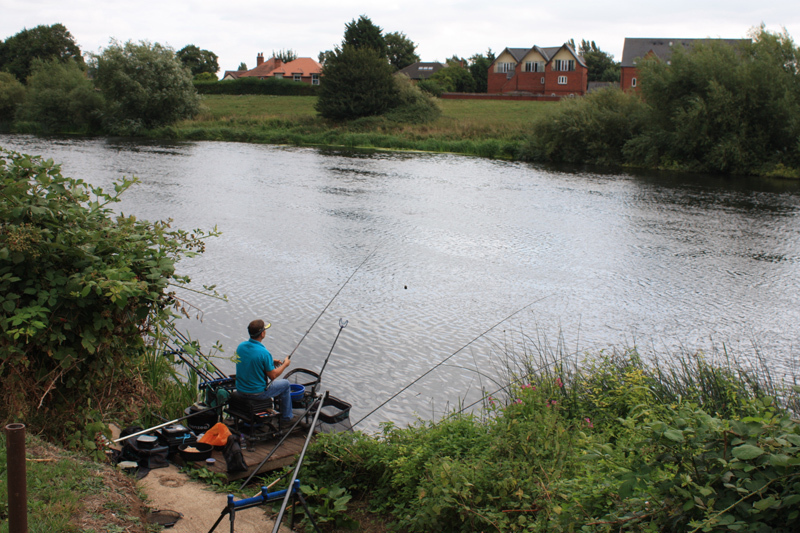 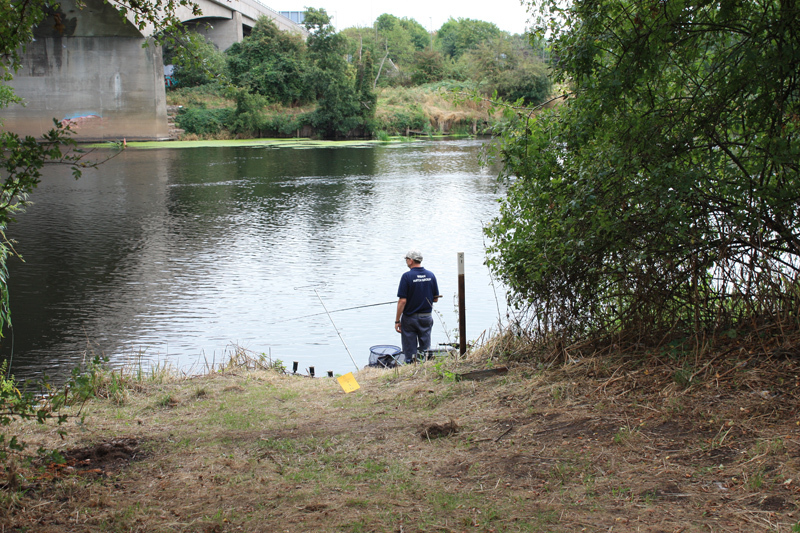 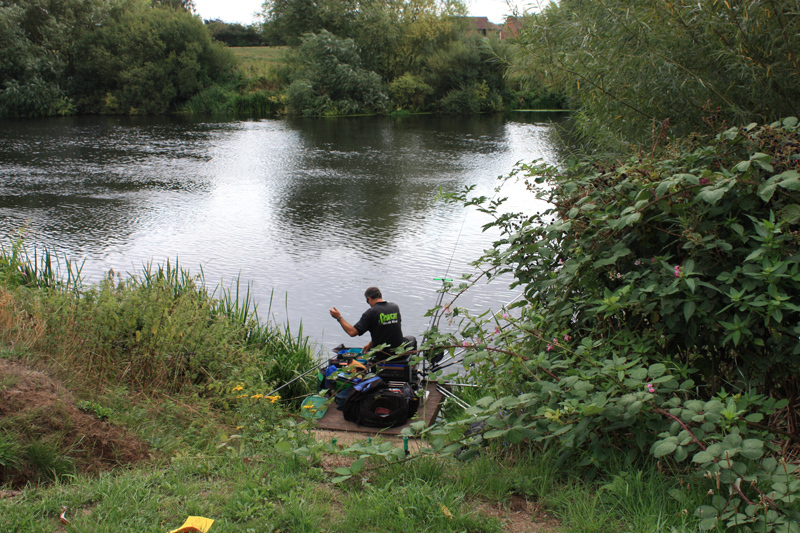 With anglers stretched over such varied sections on the river it was unclear if bream, barbel, chub or silverfish would be the target. 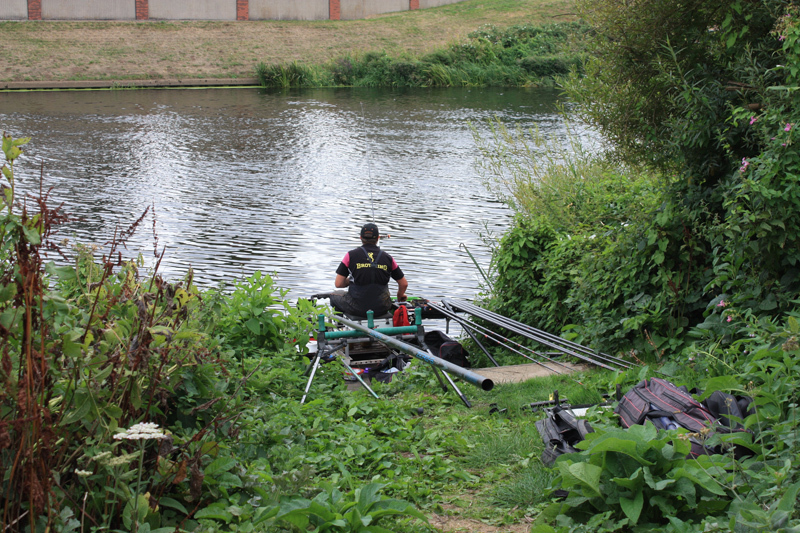 It must have been quite tough to decide what tackle to take, walking the bank it seemed like most opted for the kitchen sink approach – take one or several of everything! 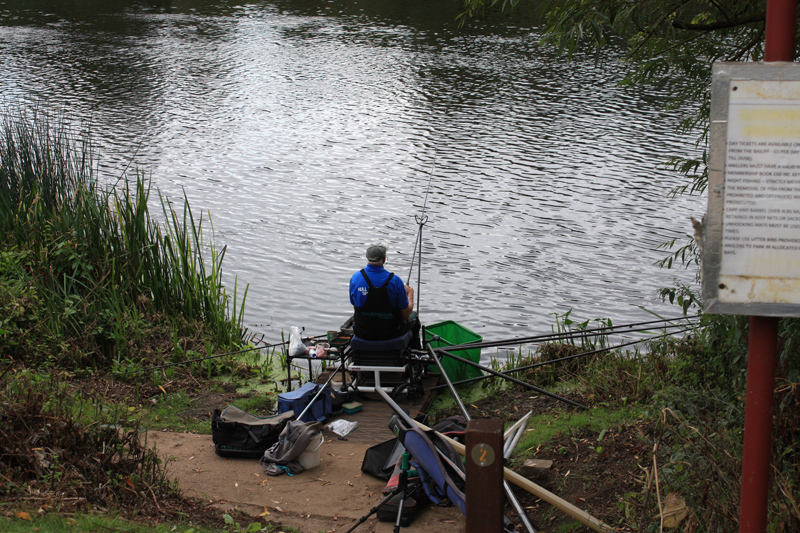 The team event was won by the pre match favourites, Barnsley & District. 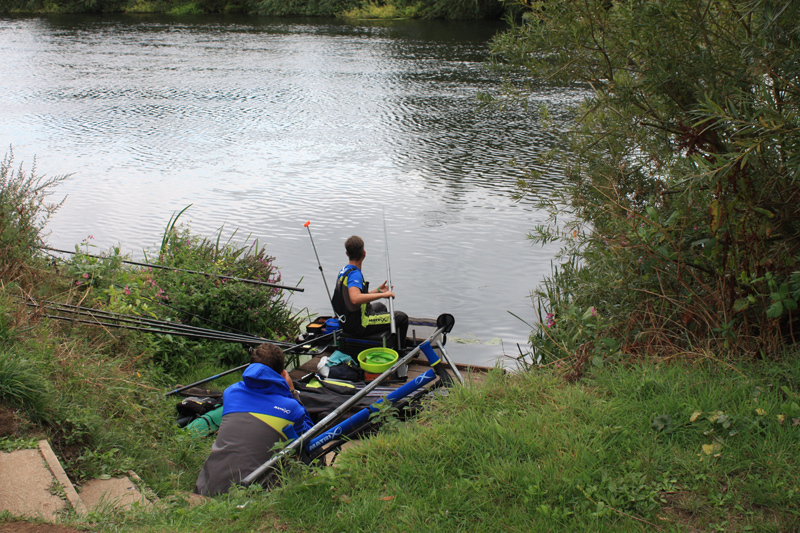 Their score of 387 points was 26 ahead of Team Daiwa Dorking who took second place. 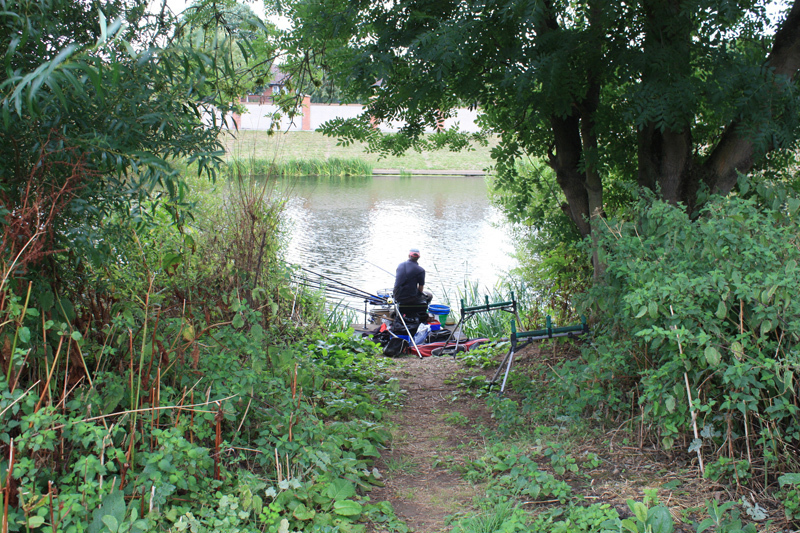 Worms fished with a maggot feeder paid dividends for Barnsley. 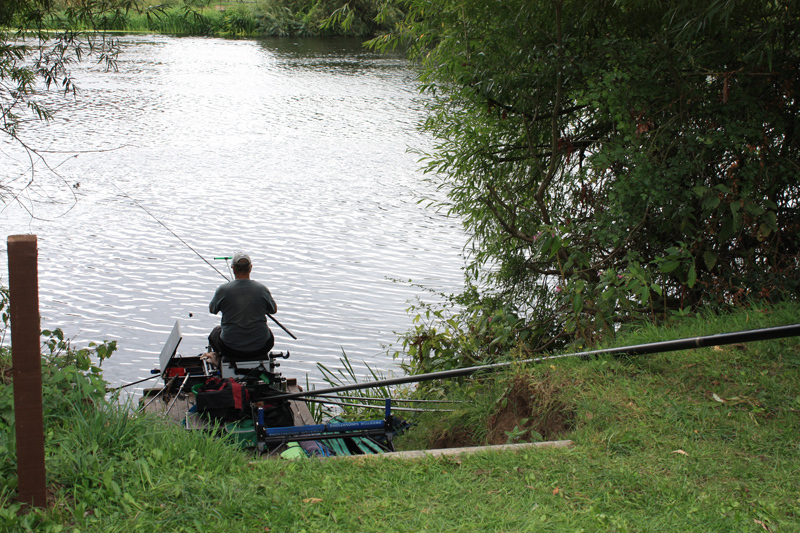 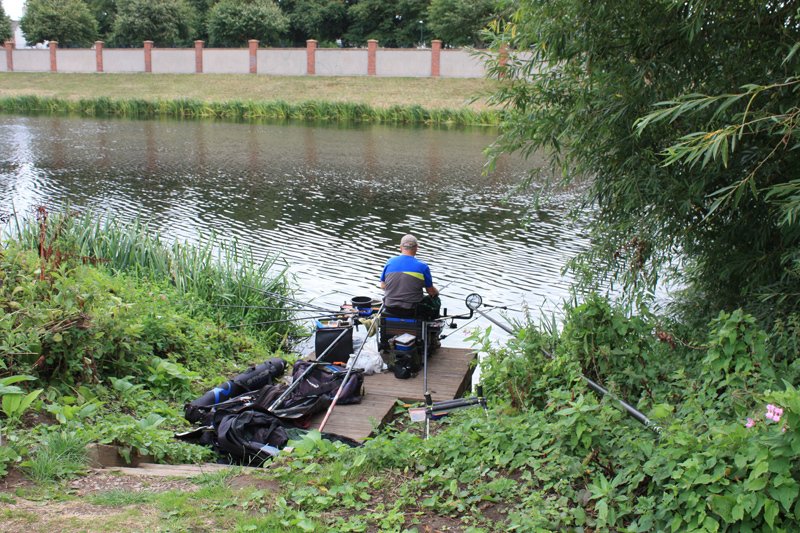 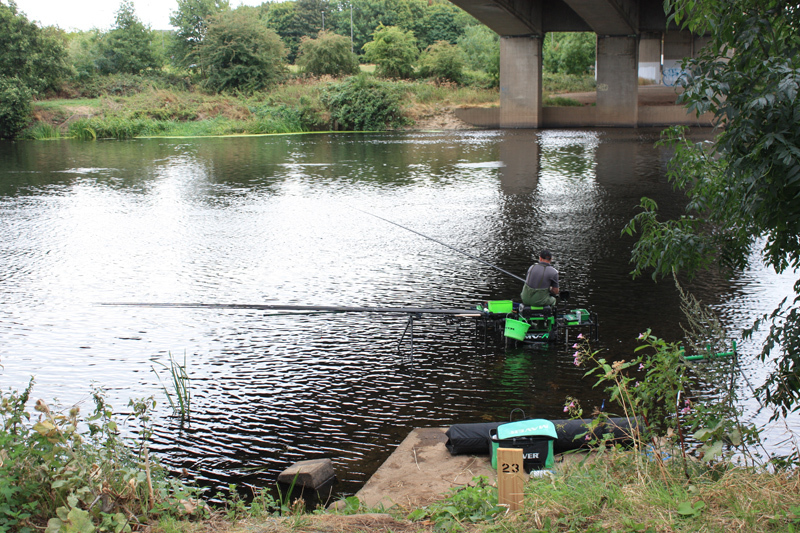 The individual winner of the match was Ian Paulley who fishes for the Preston Innovations Thatchers Team. 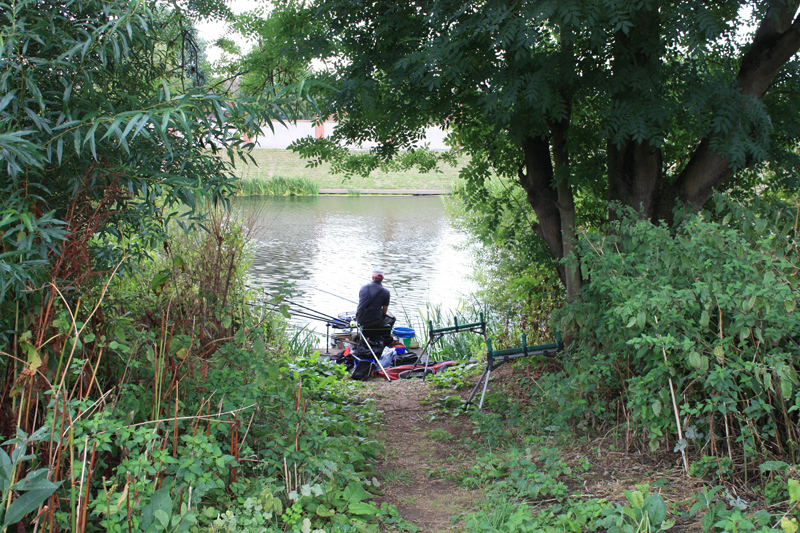 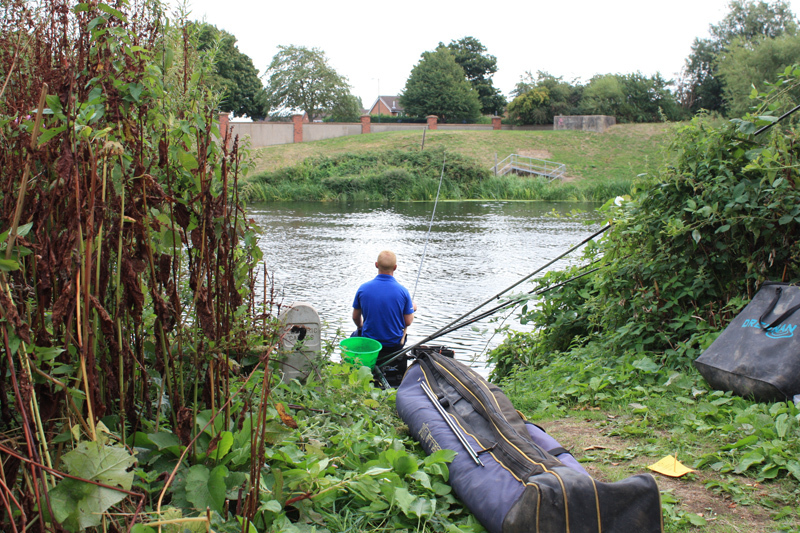 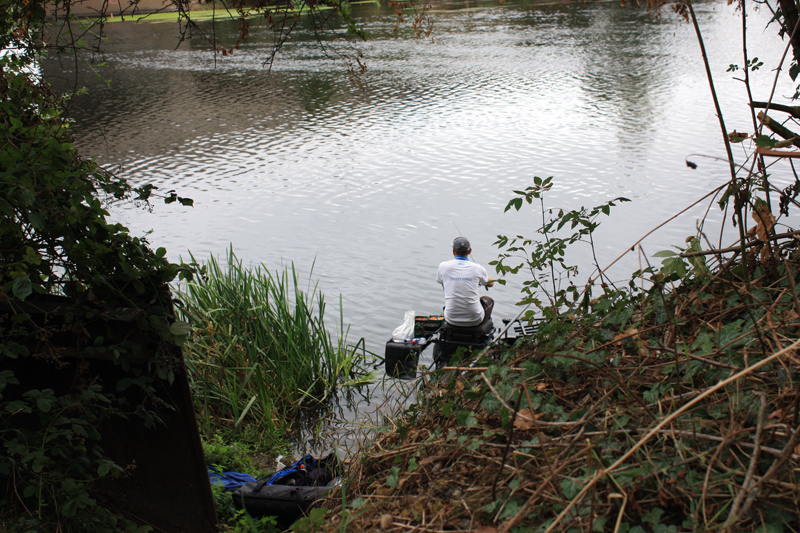 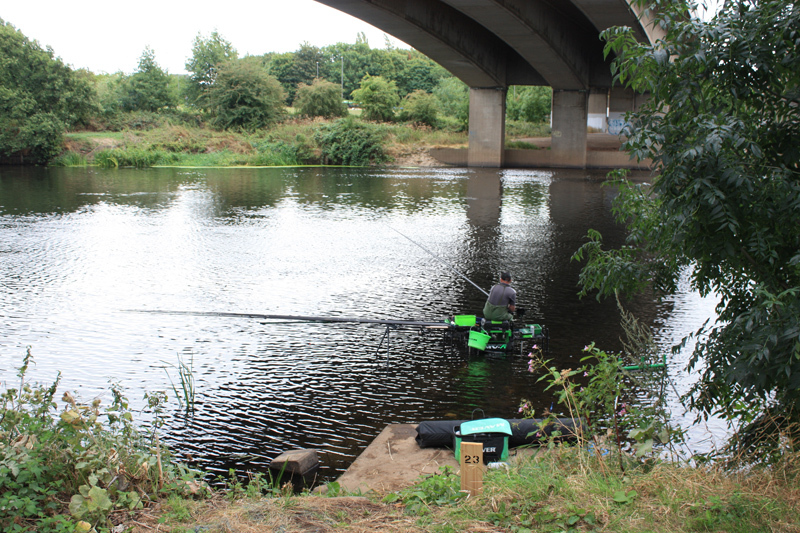 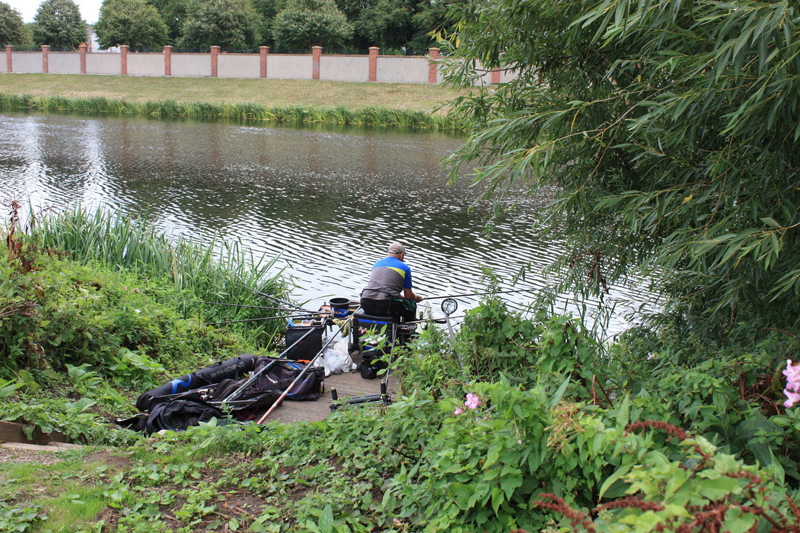 He drew a peg that every angler in the match would have loved to have pulled out of the bag! 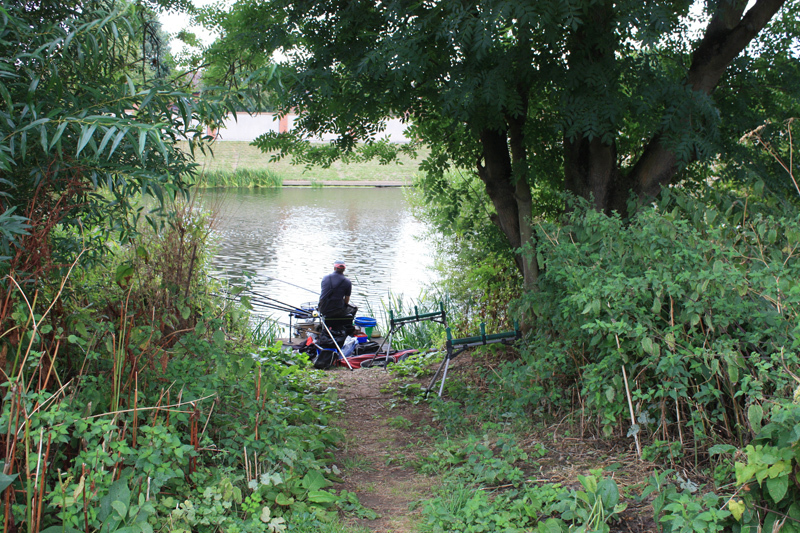 The peg at East Stoke was on a section that is owned by the Nottingham Piscotorial Society. 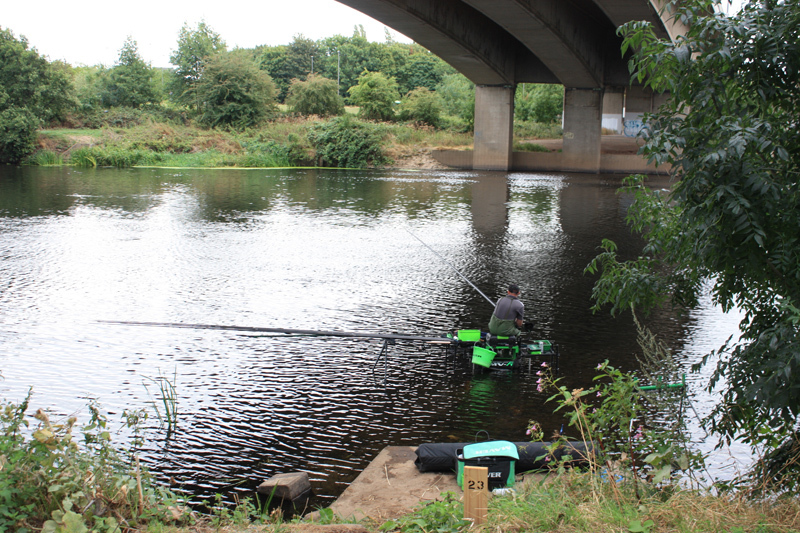 Ian fished a feeder over to the far side of the river, which produced 14 barbel and 14 chub and tipped the scales round to 45.800kgs. 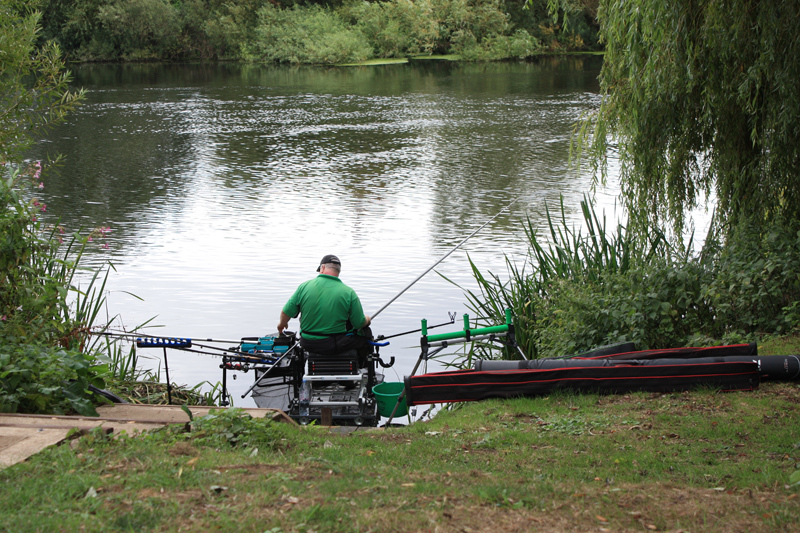 The day must have given James Robbins from Cadence Fishing a touch of the Green Eyed Monster, he went back a few weeks later to fish the same peg and had a great days fishing. 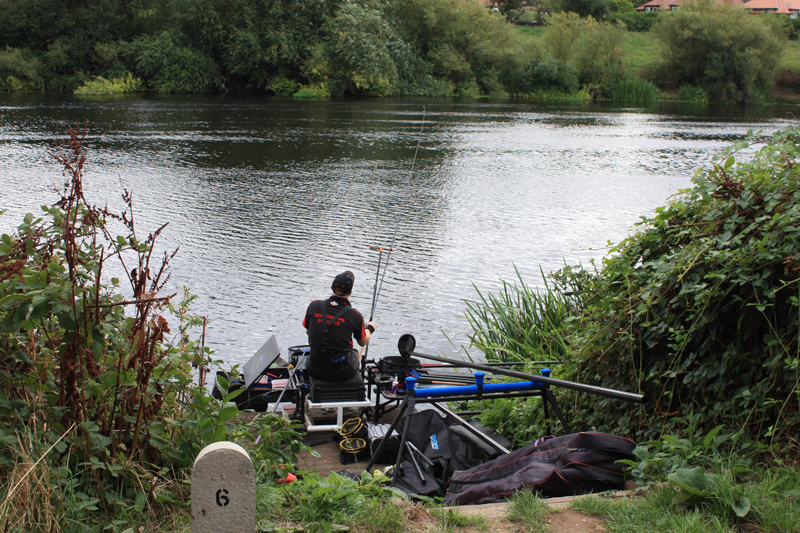 He filmed the session in this fantastic YouTube video. 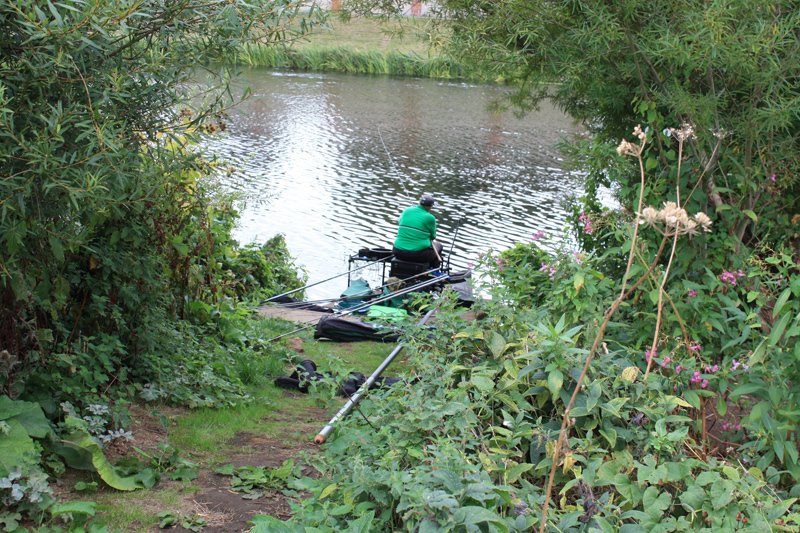 These pictures were taken at the Clifton section of the match just after the whistle went. 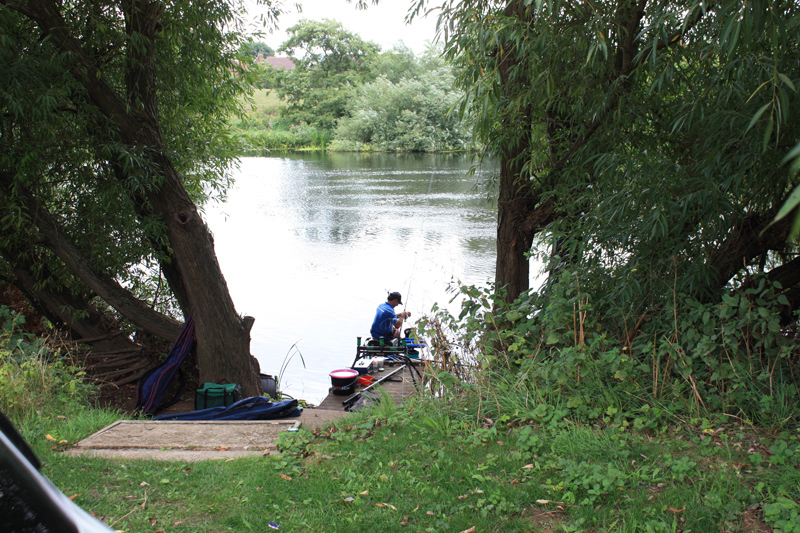 Larger versions of the pictures are available – please drop a line through the contact form with details of your email address and the images you’d like.